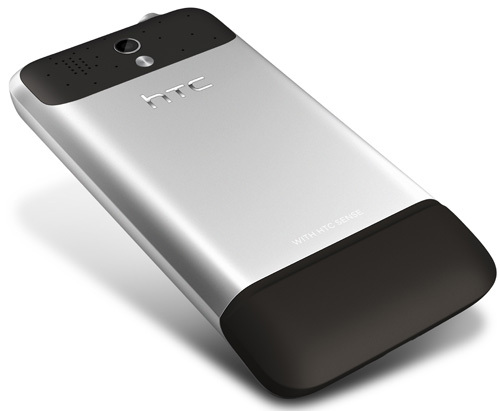 Review HTC’s Legend is to all intents and purposes the follow up to the very popular Hero. Like its predecessor it is an Android handset, and GPS, Wi-Fi and 3G are here as Android staples but, as you would expect, the Legend has a lot that is new, updated, enhanced and tweaked too. For a start, the Legend’s bold chassis design, revamped Sense User Interface sitting on top of Android 2.1, and an AMOLED capacitive touchscreen are the headline features that could combine to make HTC’s latest as popular as the Hero. Currently, the Legend is slated to be available on contract exclusively from Vodafone. You can also get it SIM free. The chassis design is stunning. Much of the shell is made from a single sheet of aluminium. This looks superb, though over time we imagine it might lose some of its sheen to scratches. There is no backplate in the conventional sense. Instead, to get to the battery, SIM and micro SD card you remove a small black plastic rubberised section on the back bottom of the casing and lift a plastic flap. It is unconventional but not awkward. The annoyance is that swapping micro SD cards requires that you power down the handset. 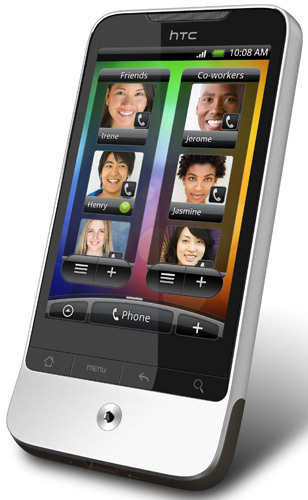 The HTC Hero has a pronounced lip at its bottom edge. The Legend also has a lip but its angle is far less acute, and it can pass almost unnoticed. It seems hardly worth building into the design, though it does keep the screen off any potential scratchiness on a desk when you lay it face down. The screen measures 3.2in across diagonal corners and while its 320 x 480 pixels break no new ground, the OLED means it looks stunning. Bright, sharp colours and fantastic viewing angles give the Legend a real wow factor. However, the screen does attract fingerprints which rather ruins the Legend’s sleek look after a short time.